On October 12, 1810, Munich hosted its first Oktoberfest to celebrate the marriage of Ludwig, the Bavarian crown prince, to Princess Therese of the Saxon-Hildburghausens. This year Germany is celebrating the 200th anniversary of the event, which now spans sixteen to eighteen days from September to the first week of October. 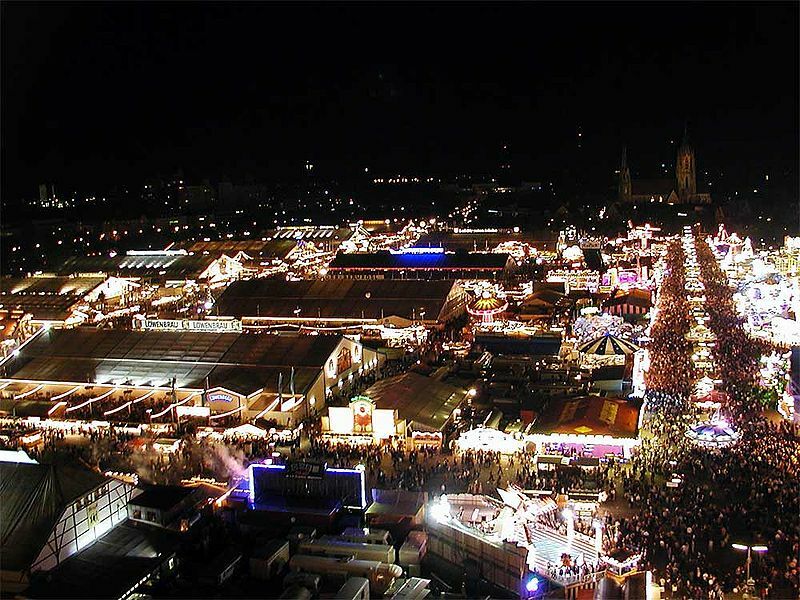 Today Oktoberfest is the biggest festival in the world and an incredibly important part of Bavarian culture. It's also one of those parties that everyone should experience at least once and what better way than with your own Munich campervan rental? The event is held at Theresienwiese, a field in the centre of Munich, where millions of people from all over the world gather to imbibe in large amounts of German beer as well as traditional dishes like Schweinsbraten roast pork, Sauerkraut, Reiberdatschi potato pancakes, Kasspatzn cheese noodles, Weisswurst white sausage and Obatzda, which is a delicious cheese-butter spread infused with spices. Of course, in additional to drinking and eating visitors to the festival also get to enjoy lively music, participants dressed in historical costumes and more than a few bierleichens. For more details about a motorhome rental in Munich you can visit MotorhomeRoadtrip.Com. If you can't make it to Germany, but still want to fulfil your love of beer and bratwurst consider attending shoot-off Oktoberfest celebrations in other parts of the world. The reported second--or third--largest Oktoberfest festival in the world is being held outside Toronto, Ontario, Canada from October 8 to 16, 2010 in the town of Kitchener. Here over 700,000 gather annually to enjoy beer, music and good eats. Interested in a motorhome rental for your Canadian Oktoberfest celebrations? Visit RVRentalCanada.com for great deals.